The Radnor Charitable Foundation was delighted to support the Trussell Trust by sponsoring the Baron’s Trail. The Trail which celebrates 800 years since the sealing of the Magna Carta can be viewed from 12th June to 6th September 2015. 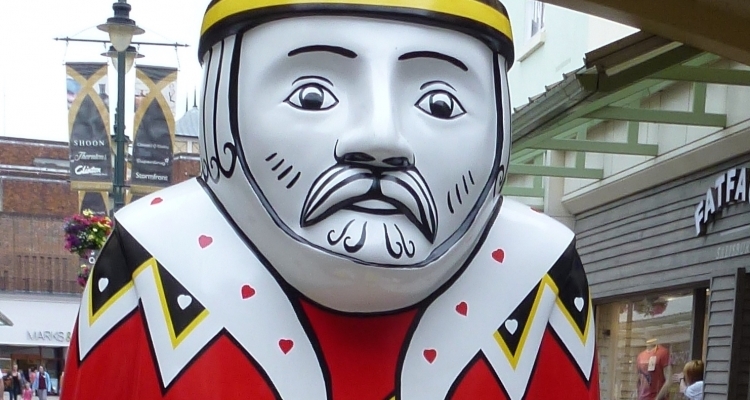 The Barons are located throughout the centre of Salisbury and depicts an eclectic mix of themes. It is hoped that the decorated Barons will help the economic, cultural and social life of the city celebrating the anniversary of a piece of history through art. The Radnor Charitable Foundation Baron can be found in the Old George Mall. 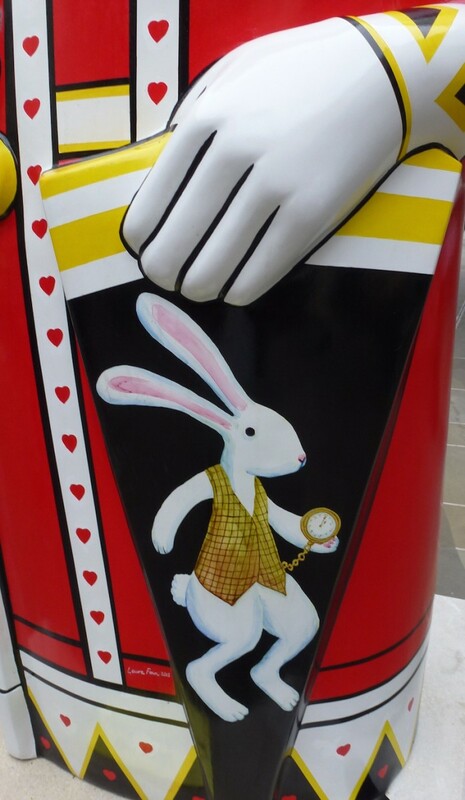 The King of Hearts from Alice in Wonderland shows Alice chasing a white rabbit. The Trussell Trust is a charity with Christian principles with its aim to bring communities together to end hunger and poverty in the UK by providing compassionate practical help whilst challenging injustice.